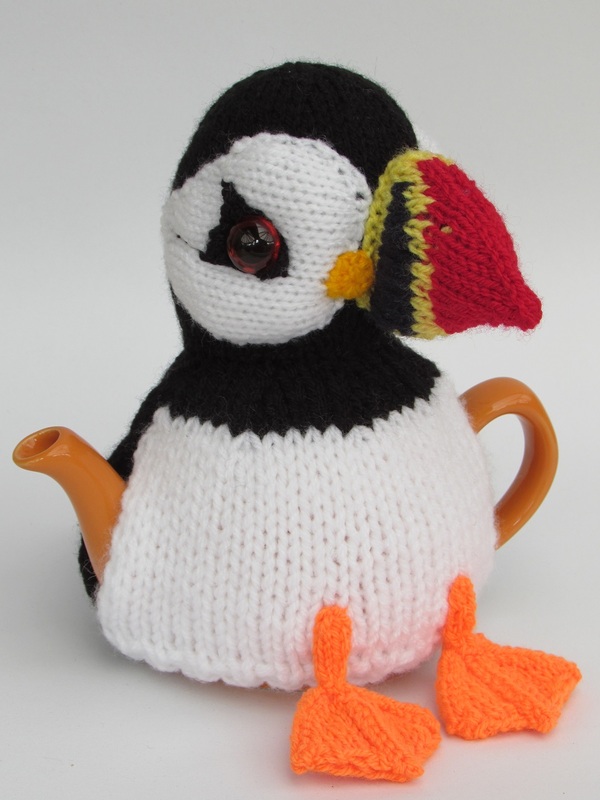 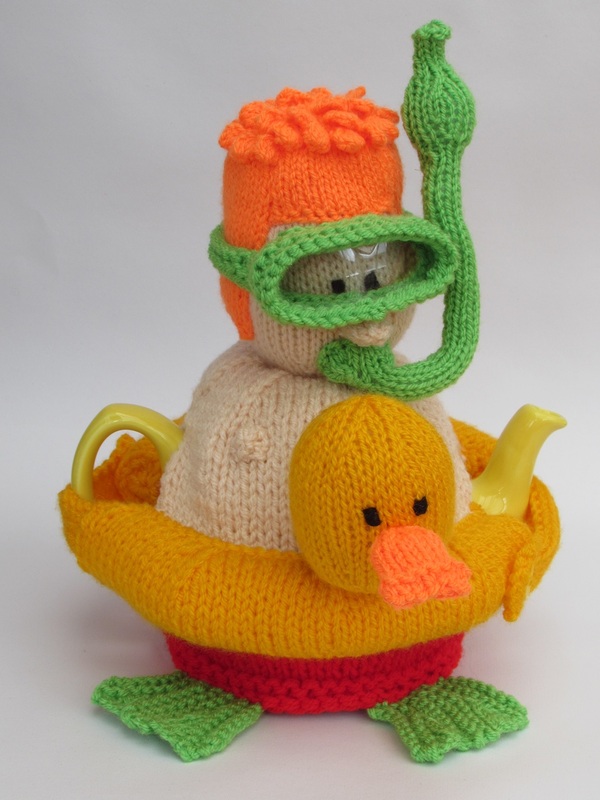 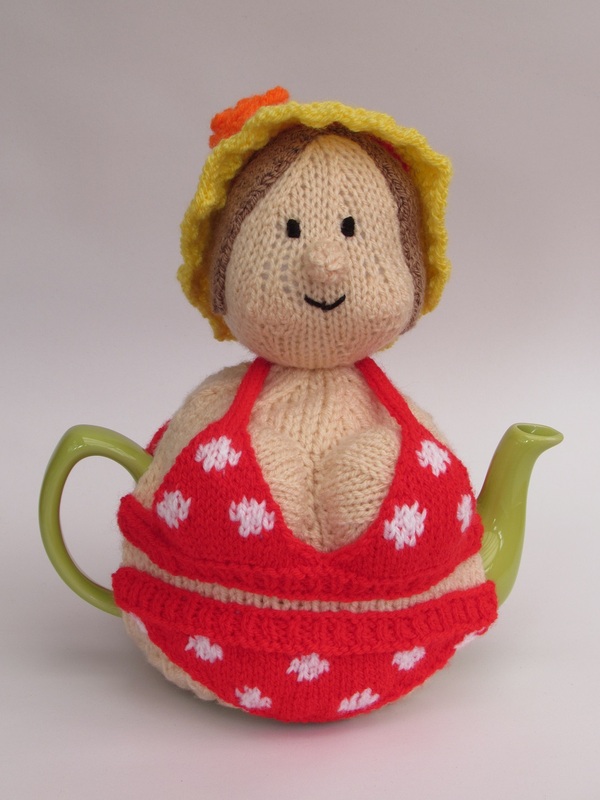 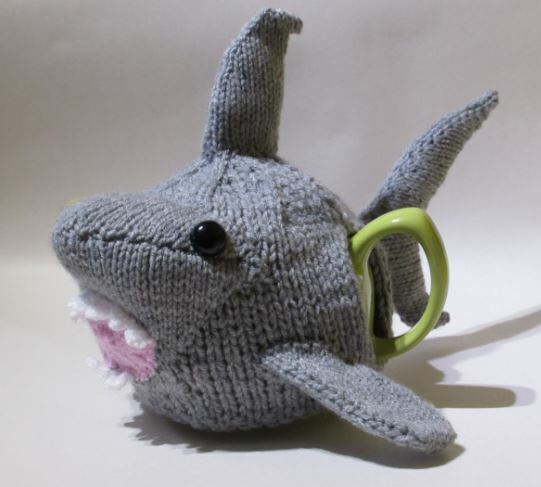 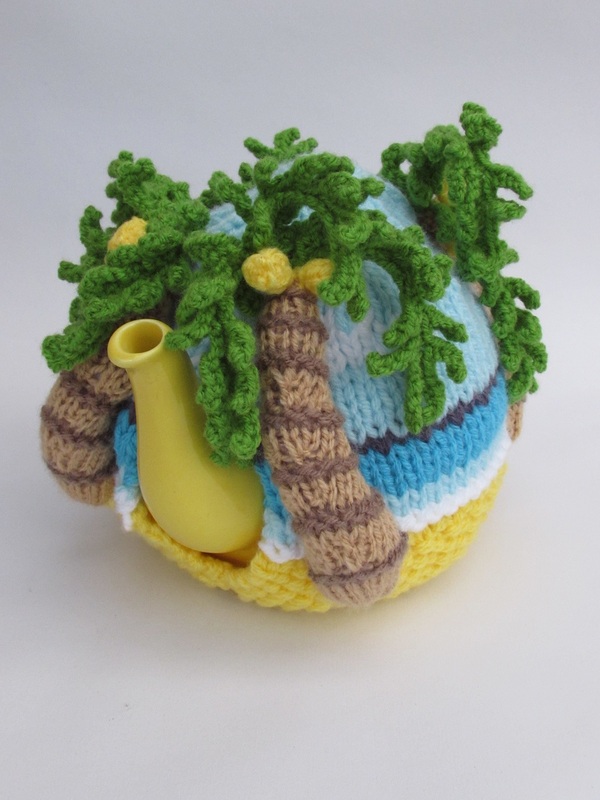 The Palm Tree Beach tea cosy was designed for the Simply Knitting Magazine issue 162 which went on sale on the 21th of July 2017. 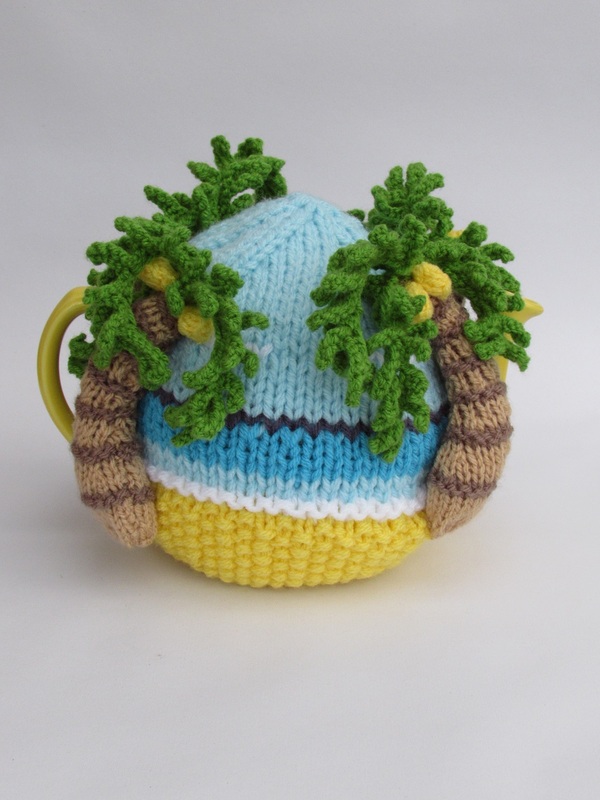 Lie back and imagine you're reclining on a deserted island beach somewhere hot, that's what the Palm Tree Beach tea cosy was inspired by. 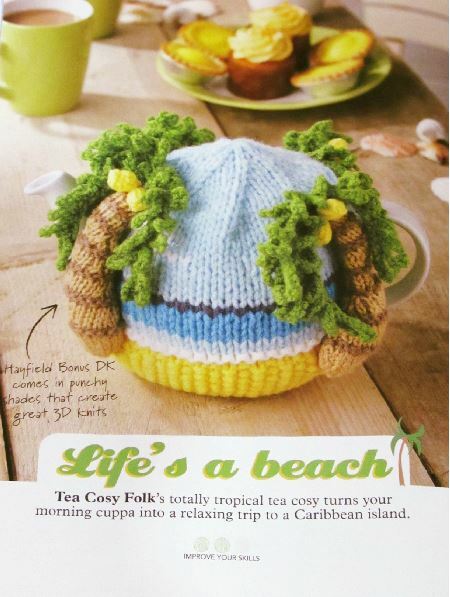 The scene on the cosy is that of being on the beach looking out to sea. 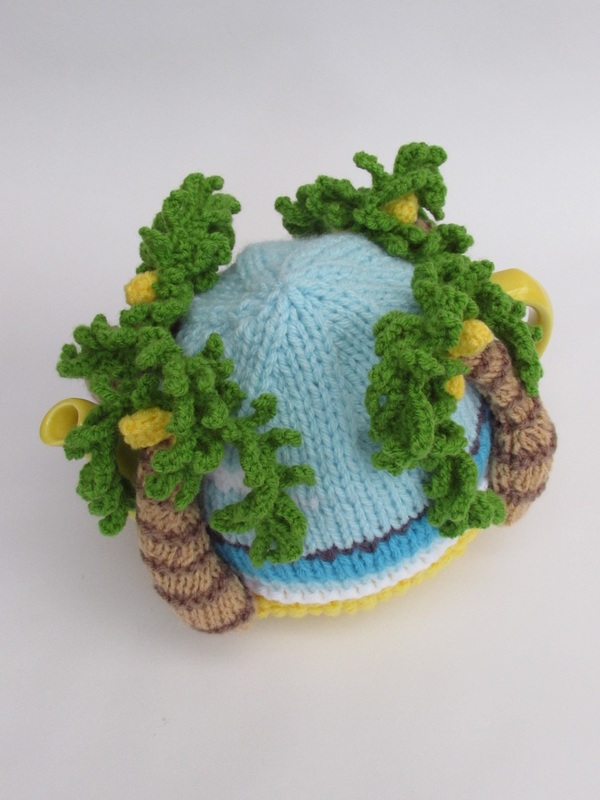 You can see the horizon in the distance and in the sky there are just a few fair weather clouds. 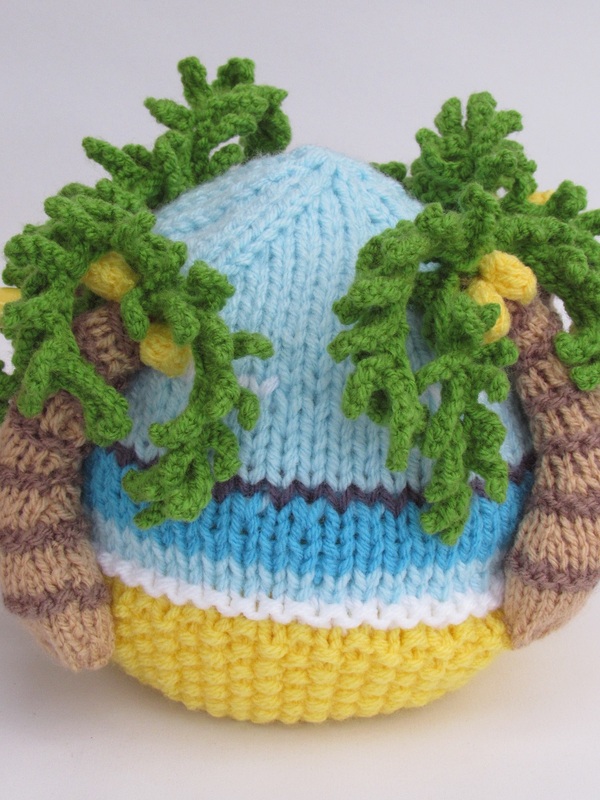 You're sitting in the shade of the palm trees, and you can see the coconuts. 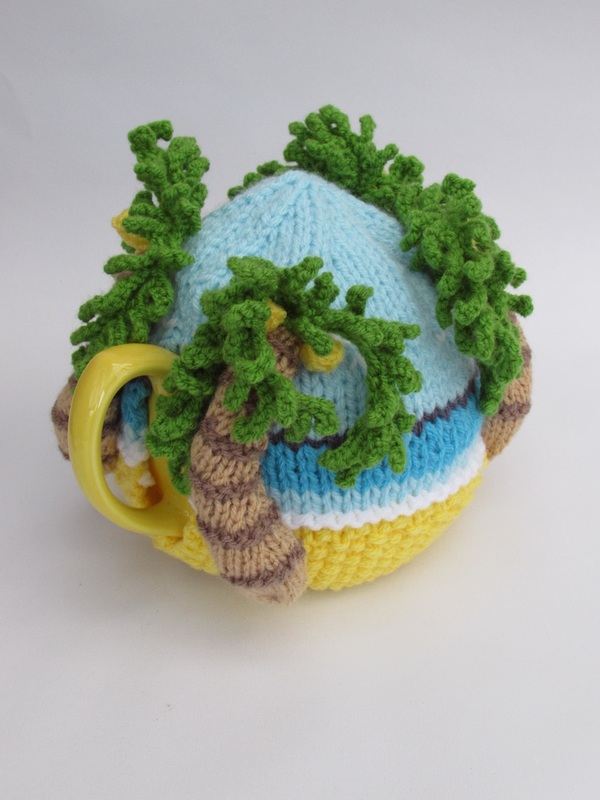 Blissful isn't it? 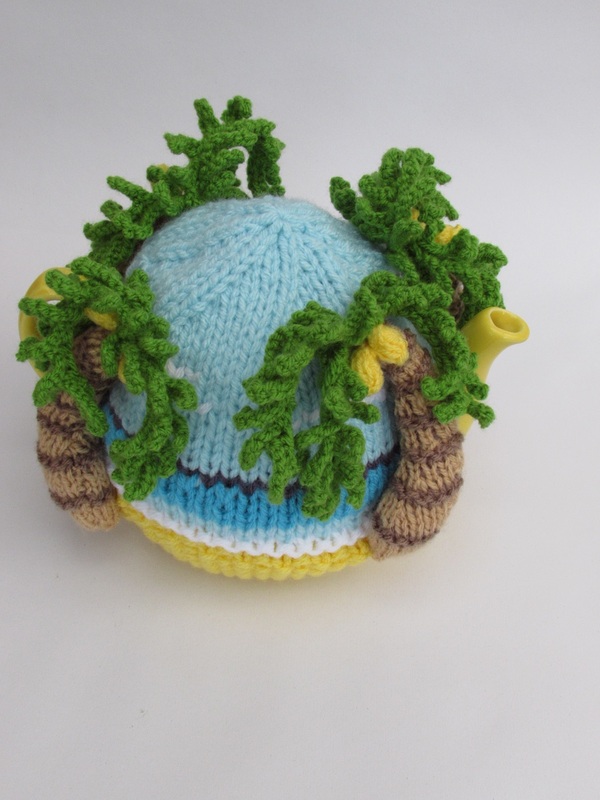 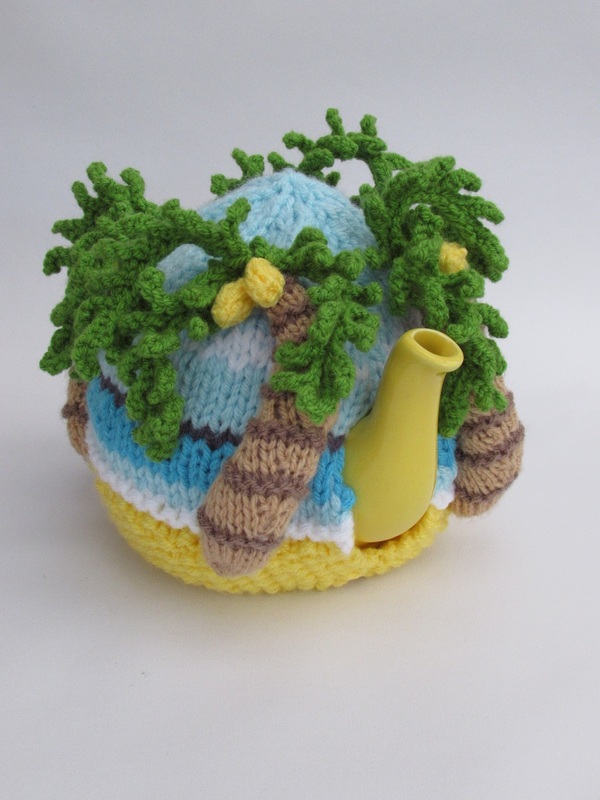 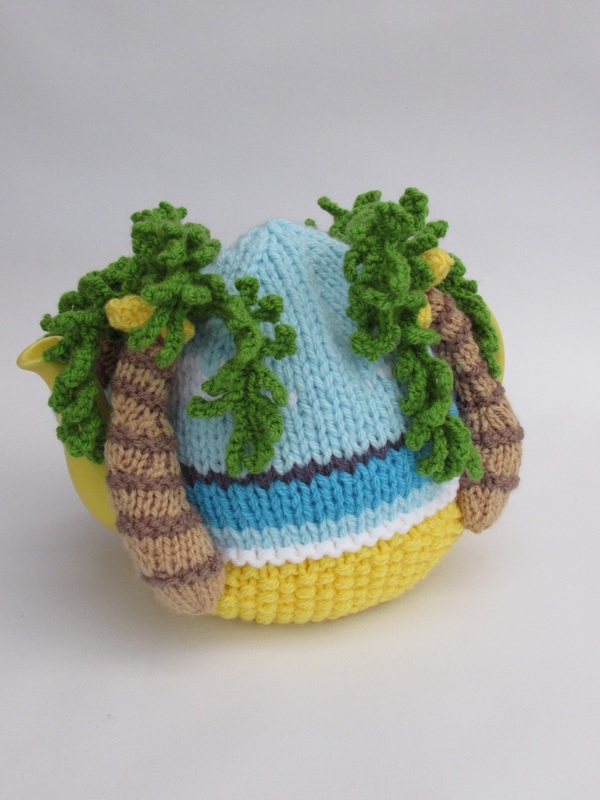 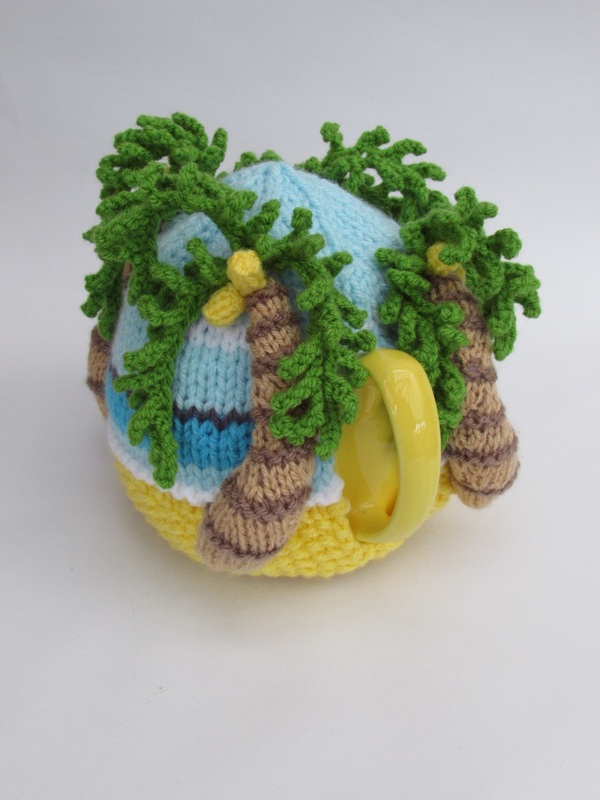 This tea cosy is made with colour changing work with little knitted palm trees sewn on to create the foreground. 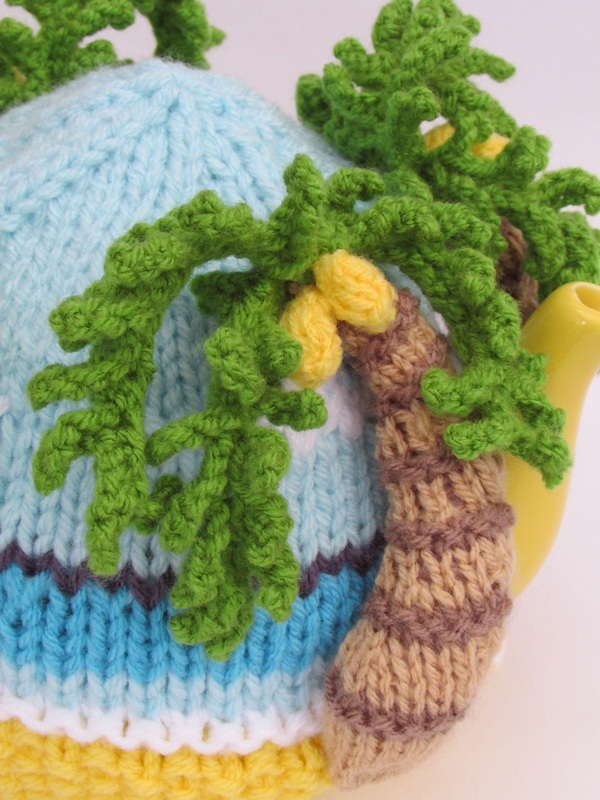 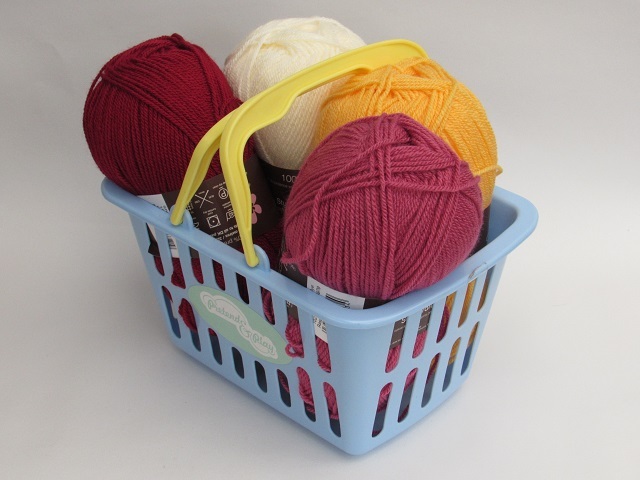 The Palm Tree Beach is knitted in Hayfield Bonus dk yarn.